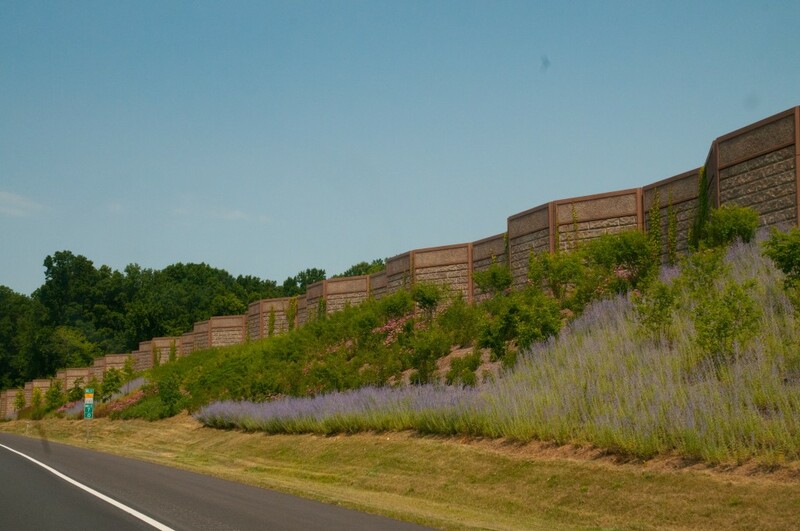 AngleWall™ is an offset or folded plate concrete panel system that should be used wherever there is adequate space to accommodate the undulating trapezoidal wall pattern. 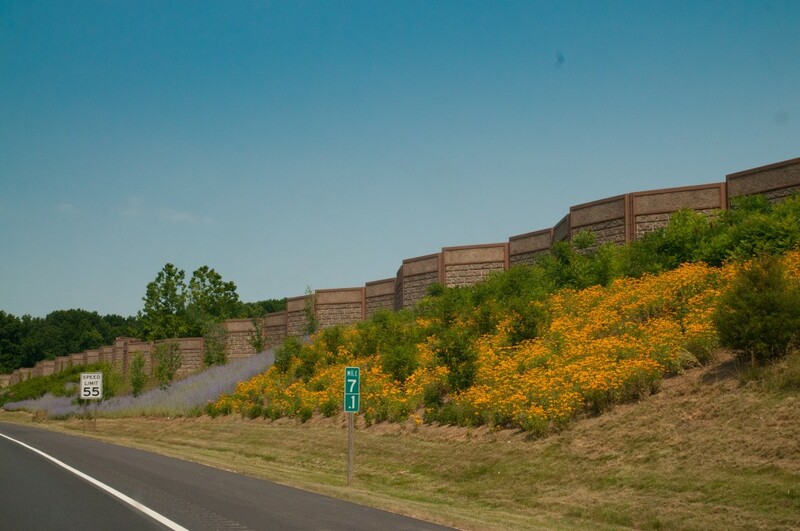 The offset distance “D” varies from 3 to 7 feet. 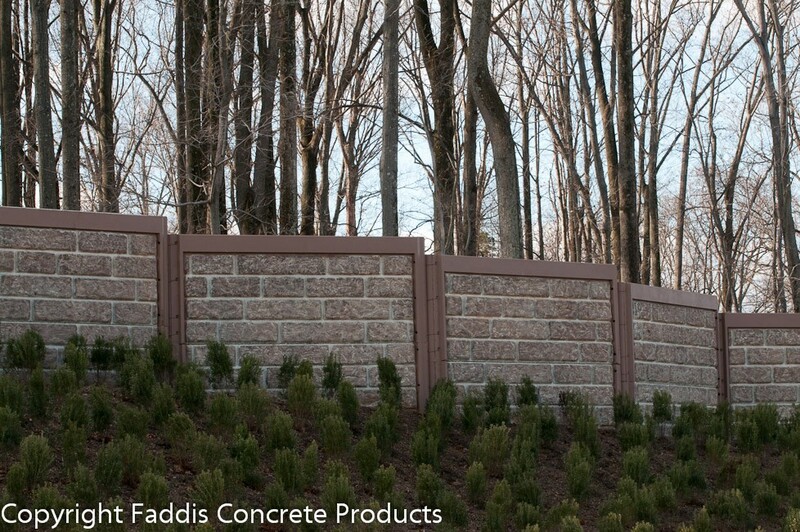 Foundations are typically a compacted, graded aggregate base. 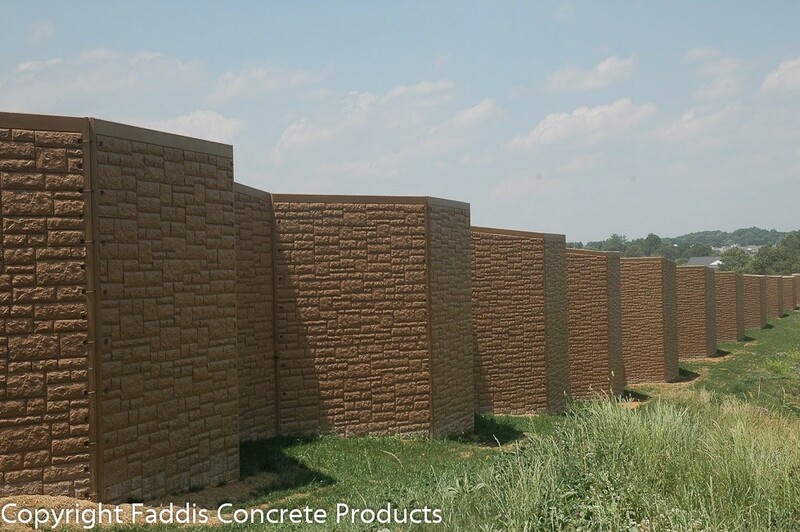 Shallow foundations can span over undrillable soils that consist of rock, hazardous materials such as asbestos, or high water tables. 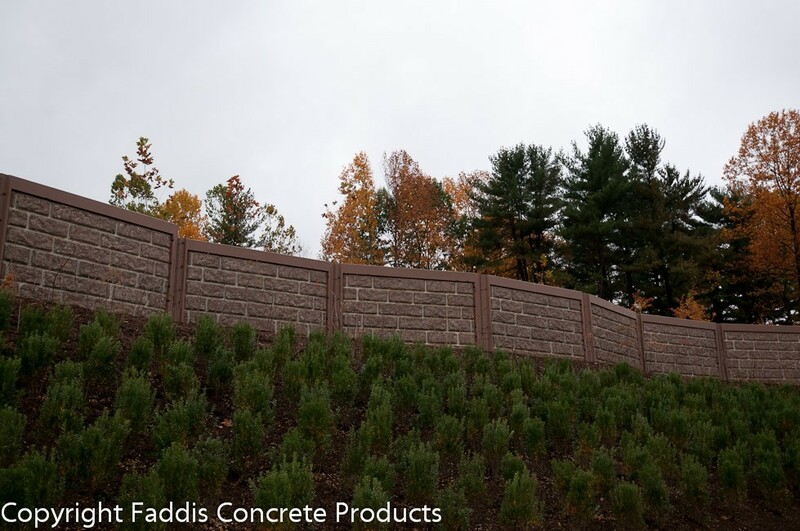 Architectural finishes and colors can be applied to both panel surfaces, although a raked finish on the reverse side of the panel is the most economical. 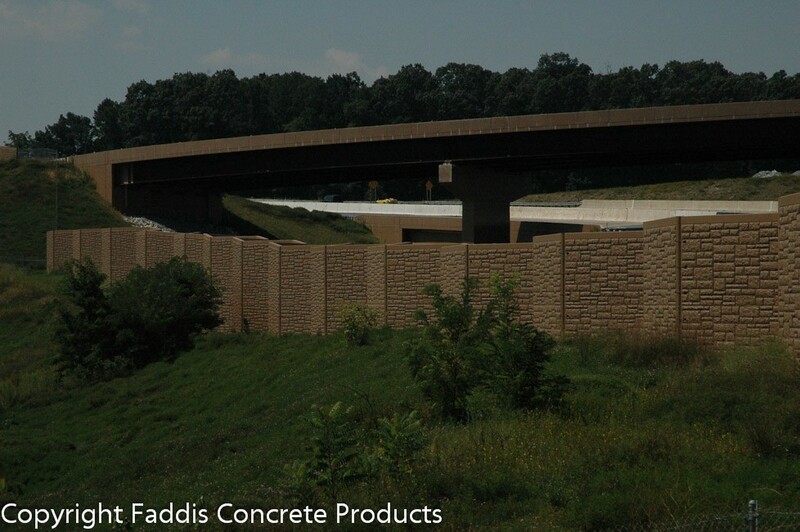 AcoustaCrete® can be cast into one side as depicted on photos of the MD 200 InterCounty Connector featured in the right column. 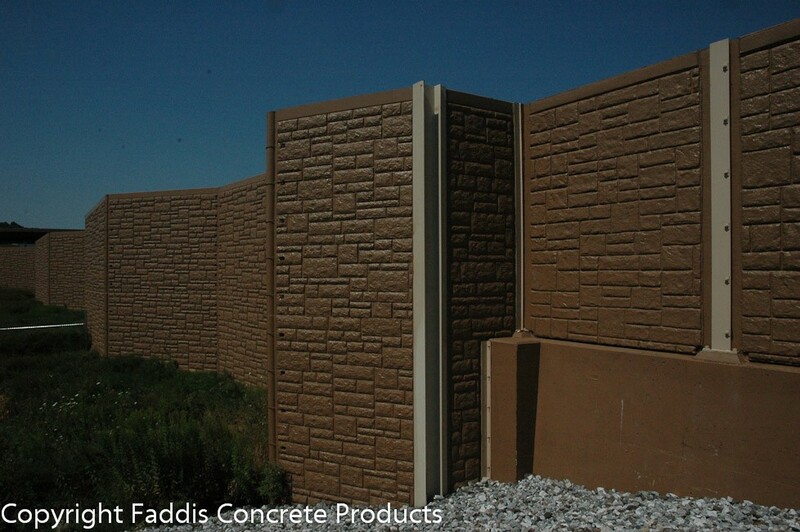 Precast or cast-in-place panels can be installed on concrete foundations if required. 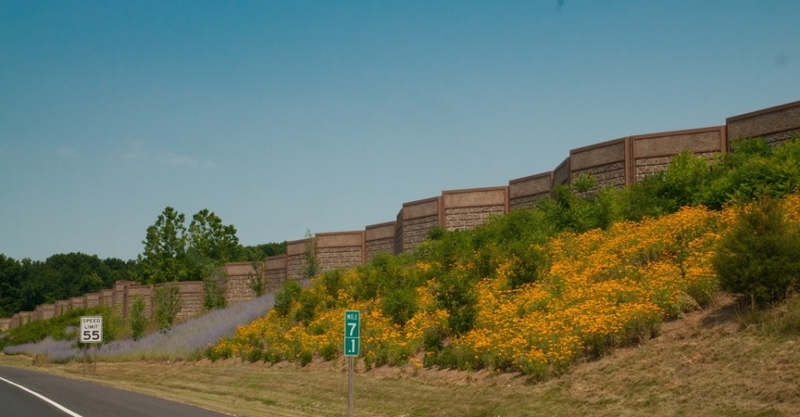 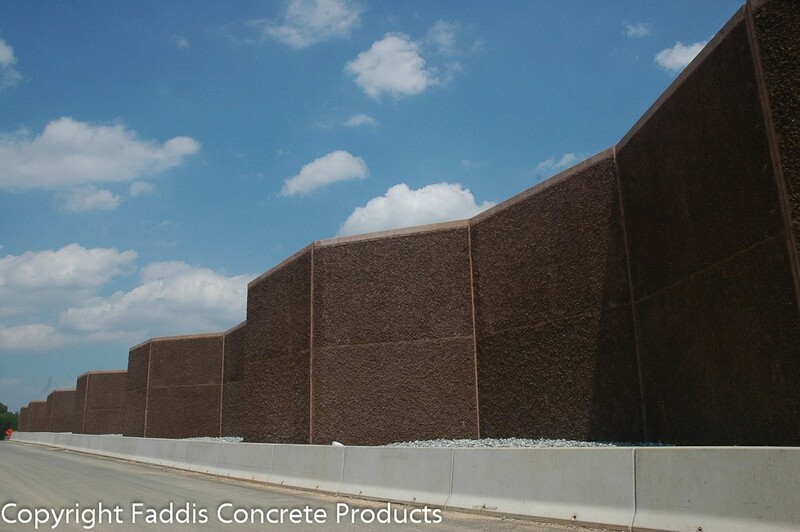 Faddis provided precast noise barriers, retaining walls, and aluminum noise barriers for three bridges on Sections A, B, and C of Maryland's Intercounty Connector (ICC).